We are committed to providing the highest quality decorative glass solutions in the industry. 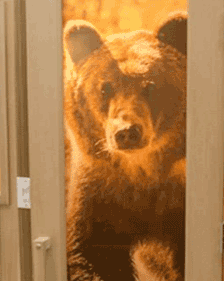 Pictorial Theme - door panel with outdoor theme -- etched and glue-chip glass sidelites and transom. Surface Bevel Cut V-Groove - cut and polished v-groove lines on soft etched glass define this elegant design. 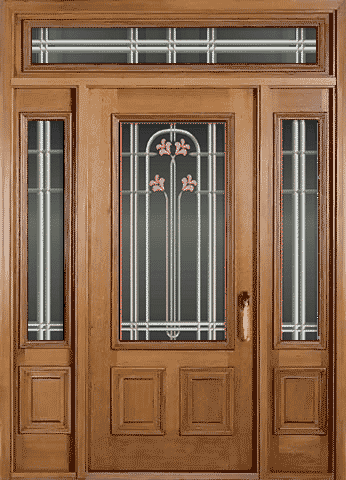 V-Groove plus Glue-Chip - cut and polished v-groove lines in door complimented by glue-chip panels. Classic V-Groove - cut and polished v-groove lines in classic straight with diamond design. V-Groove plus Color - cut and polished v-groove lines plus permanent color accents. Using our "Graphics-to-Glass" techniques, we can combine different glass decorating processes to suit any decor and budget. Remember, we can adapt a design to suit almost any decor and budget. Because our stencil cutting and imaging is all computer generated, we can scale and resize a design to fit different opening dimensions. This is an ideal technique for adapting a classie design to new construction and restoration. In addition to sandblasting to create a design, we can print directly on the glass or the inner layer of laminated glass to create a permanent photographic image.